This impressionistic, late 1960s survey traces Auckland from volcanic origins to a population of half a million people. Produced by the National Film Unit, it finds a city of "design and disorder" growing steadily but secure in its own skin as its populace basks in the summer sun. A wry, at times bemused, Hugh Macdonald script and an often frenetic, jazzy soundtrack accompany time honoured Queen City images: beaches and yachting, parks and bustling city streets, and an unpredictable climate given to humidity and sudden downpours. Tuberculosis and the Māori People of the Wairoa District was screened for the first time in 1952. It is one of many health education films made, but was unique in that it was a collaborative production involving the New Zealand Department of Health, the Ngāti Kahungungu Tribal District Committee and the National Film Unit. At this time, the death rate for Māori from TB was 10 times that of Pākehā. Turi Carroll (knighted in 1962) a respected Ngāti Kahungunu leader, narrates much of the film. 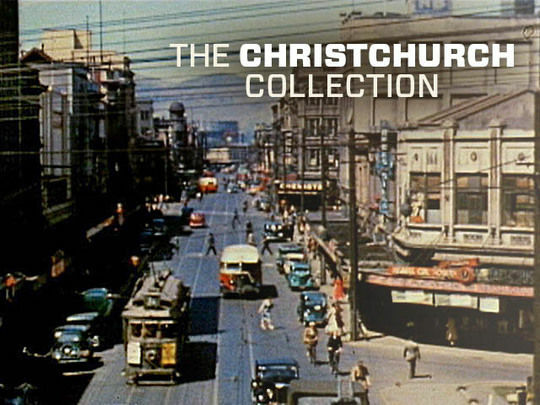 This National Film Unit film visits Christchurch roughly four years before the main event, to promote the city’s readiness to host the Commonwealth Games. 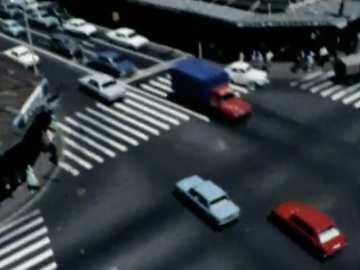 A comical potted history of New Zealand precedes a montage of young women cycling around Canterbury environs and a split screen catalogue of NZ tourist attractions, before getting into a survey of the venues. As the opening demonstrates, “there’s always a traditional welcome awaiting our friends!” In 1973 the NFU completed a second film called Christchurch 74, before covering the games themselves in the feature-length Games 74. This edition of the NFU magazine series first travels to Waiouru to observe the NZ Army’s elite Special Air Service, in the year it was established. The soldiers undergo bush exercises, an obstacle course and a mock ambush, training for deployment to Malaya. Then it’s up to Auckland Zoo to meet husky litters destined for an Antarctic Adventure with Hillary and the Trans-Antarctic Expedition (the dogs are related to Captain Scott’s huskies). And finally, it’s further north to go shark fishing for “a day on the Kaipara” in a segment directed by Maurice Shadbolt. New Zealand Mirror was an National Film Unit 'magazine-film' series geared towards the UK market. Accompanied by nationalistic, upbeat narration, this first episode covers 'New Zealand Birds', and efforts to harness 'Rotorua's Natural Heat'. It visits a game park to see Kiwi ("definitely queer birds") where, in a Disney-esque scene, two children meet a one-legged Kiwi with a bamboo peg-leg; and boats over to Kāpiti Island to meet rockhopper penguin, tui, kaka and weka. In Rotorua, geothermal cooking, backyard geysers, and heated baths and pools are explored.